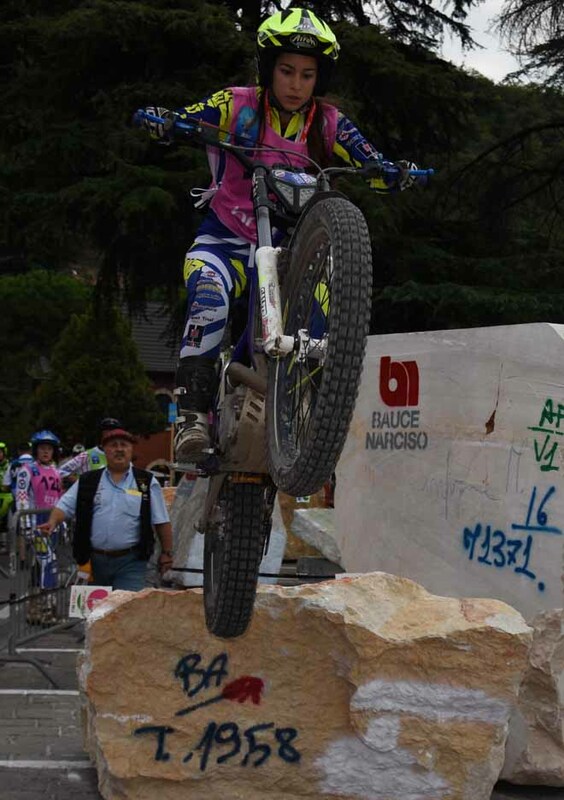 Emma Bristow world champion ! 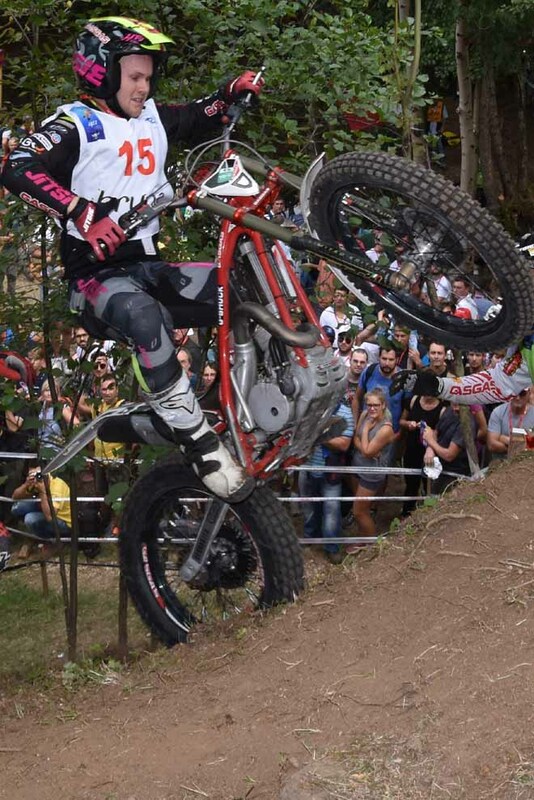 Britain’s Emma Bristow –Sherco secured her third straight FIM Women’s Trial World Championship as she dominated proceedings on the second and final day of the Italian Grand Prix held in Chiampo. 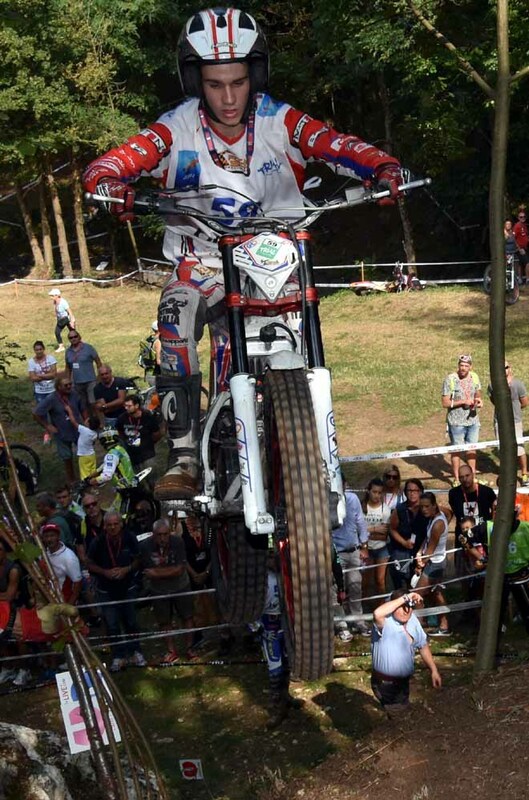 With four wins from four starts, this season and with the best four positions determining the title from the five counting days in total, Bristow cannot now be overtaken ahead of the final round of the series in France next Friday. 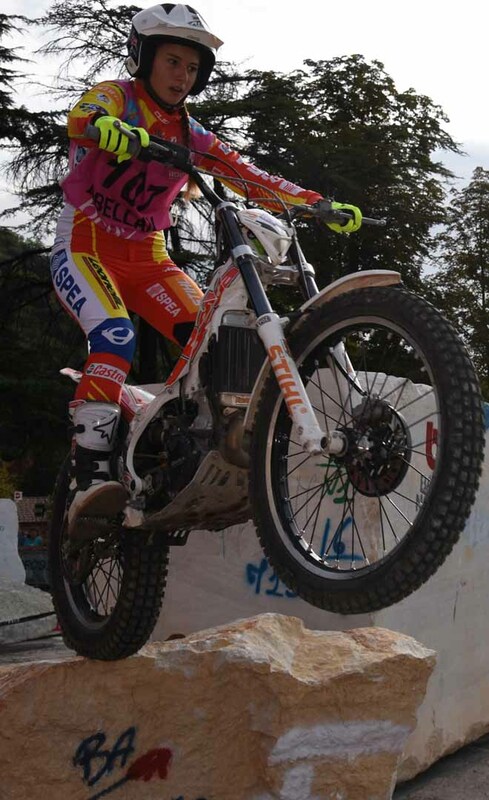 Determined to complete her hat trick of crowns, Emma once again destroyed her opponents during another day of hot competition in the Italian hills. 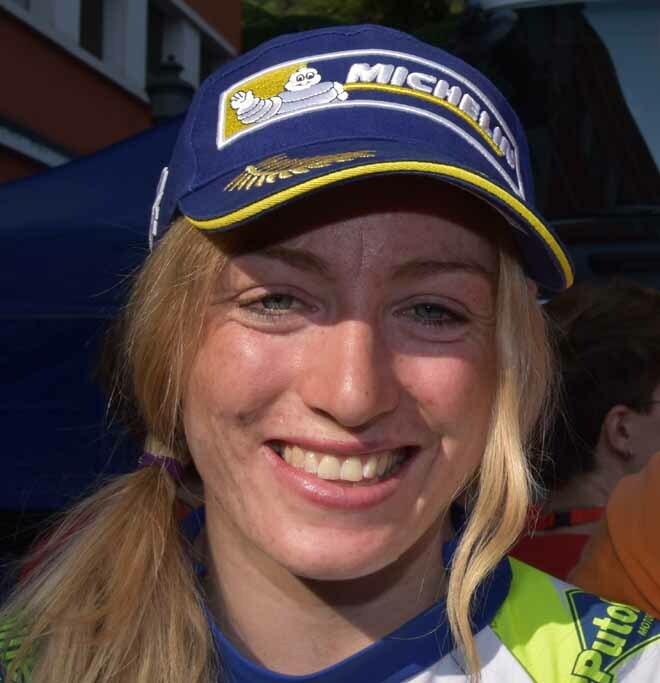 Today marked Bristow’s thirty-ninth GP event, with the British rider only failing to score points on one occasion since she first joined the series back in 2006. 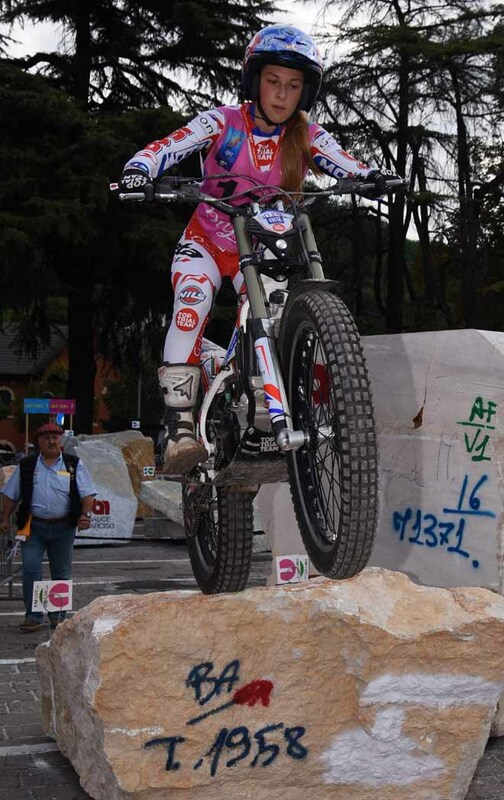 Twenty-five-year-old Emma’s recent dominance of the Women’s FIM Trial World Championship, after having finished as runner up to Laia Sanz three times, is confirmed by her tally of twenty-four podium places and twelve GP wins. 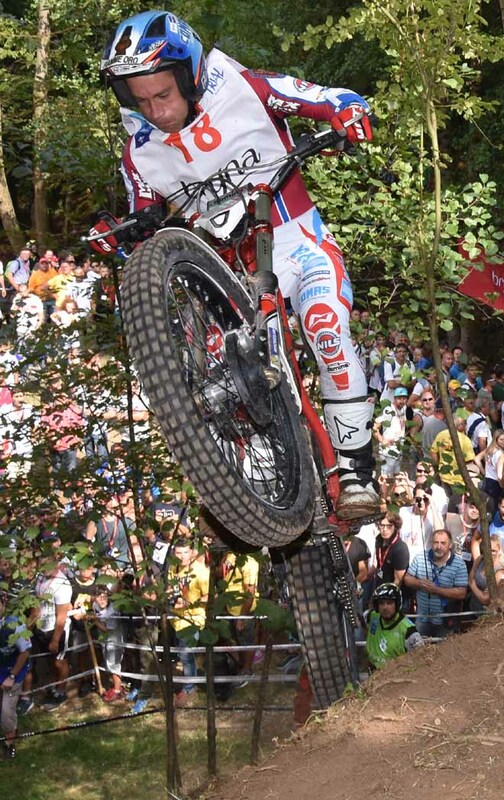 As was the case today, her rivals have work to do if they are to prevent Bristow taking the title again next year. 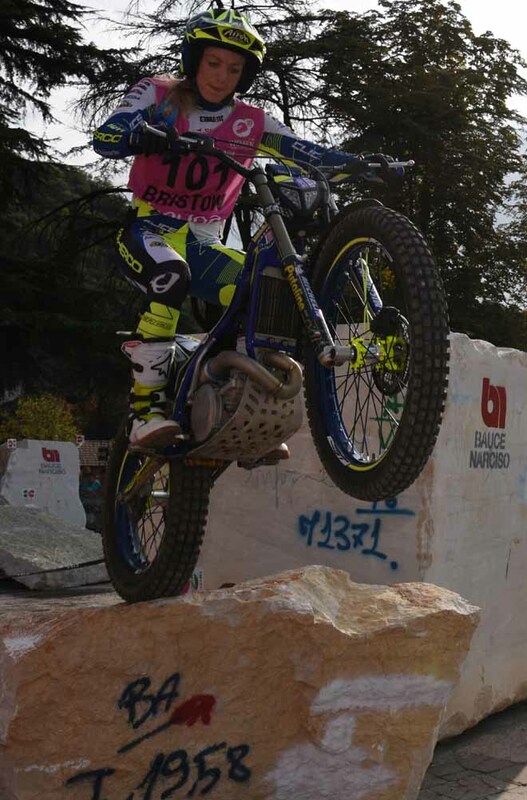 Behind the newly crowned champion, the battle for the other podium places was as fierce as ever with Bristow’s veteran compatriot Donna Fox – Sherco coming out the best after a day-long scrap that saw second to seventh positions split by just ten marks. 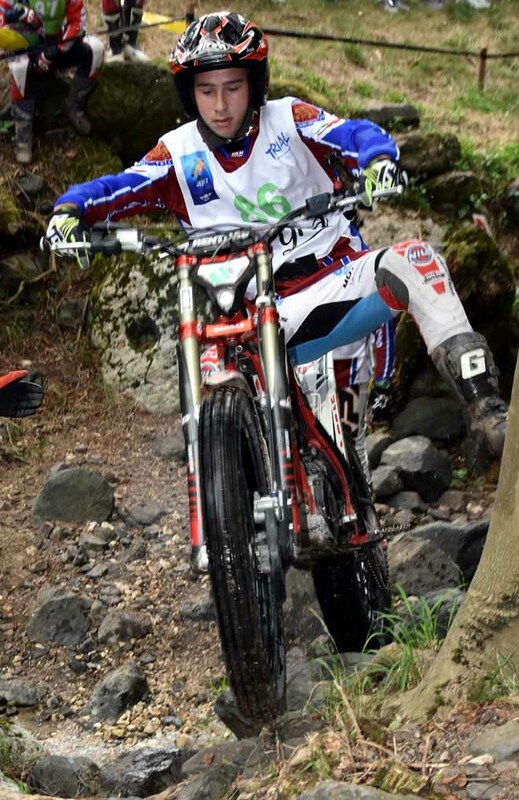 Securing only her second ever runners up spot, thirty-one-year-old Fox produced one of the best rides of her long career to eventually finish sixteen marks behind Emma, but eight marks clear of the next four riders who ended the day locked on the same marks. 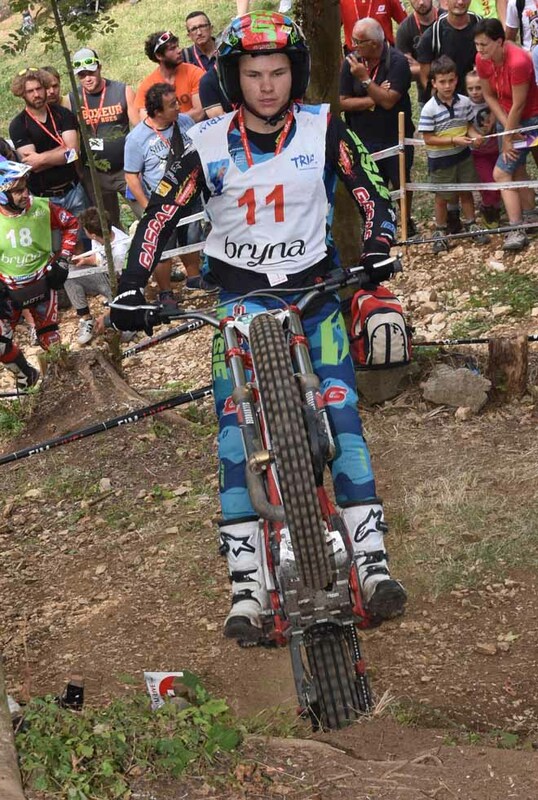 Spain’s Mireia Conde – Beta can count herself fortunate to have managed to grab only her second ever podium finish when she took third spot thanks to having the most clears of the four riders tied on twenty-eight marks apiece. 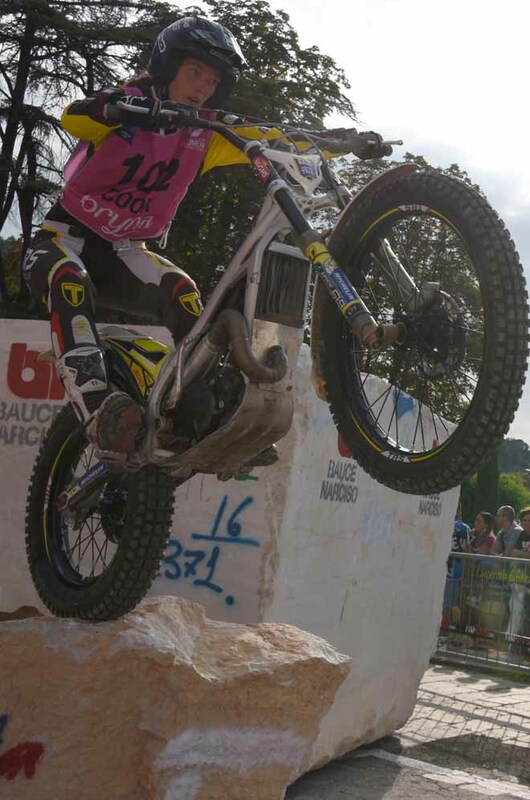 Her twenty clean rides saw her demote her younger compatriot Berta Abellan – Beta down to fourth by the narrowest of margins, with just one clean separating these two riders. 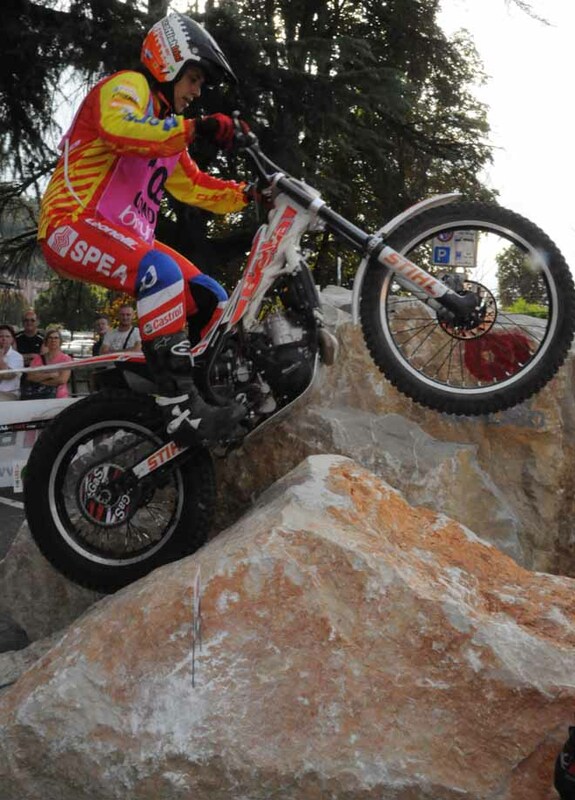 Despite missing out on a rostrum spot this was a marked improvement for Abellan who finished ninth yesterday. 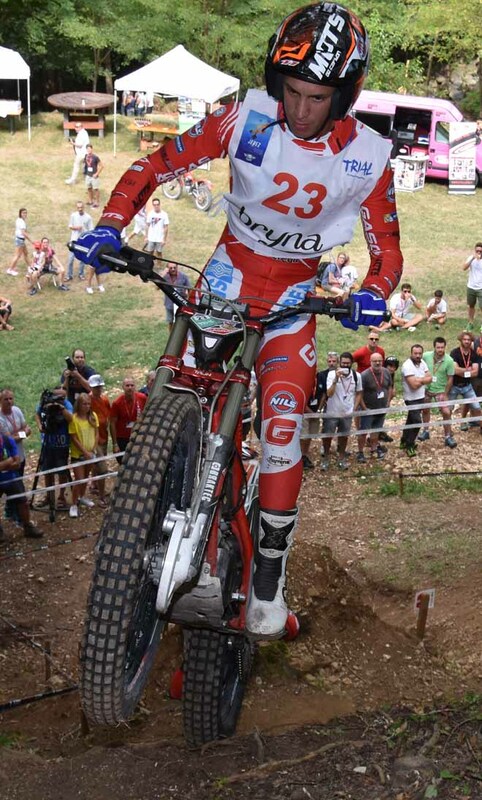 Berta now sits third in the general standings. 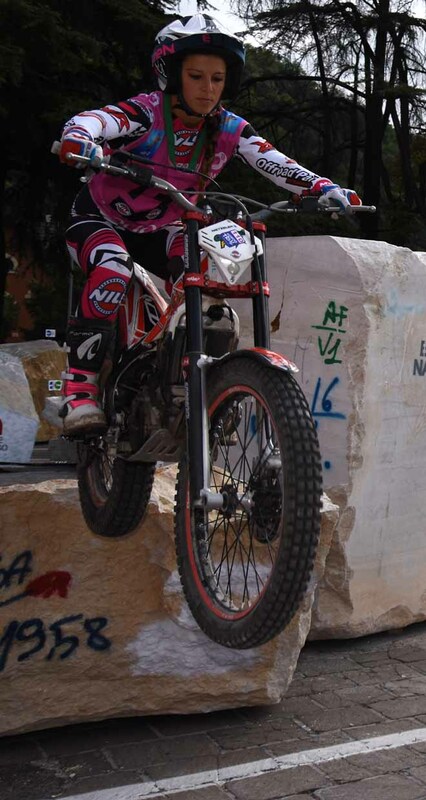 Shaken by her disqualification just twenty-four hours earlier Rebekah Cook – TRS could only manage fifth place today and as the result of a terrible weekend for the British rider she has now slipped from second to fourth in the points standings with just one counting day to go. 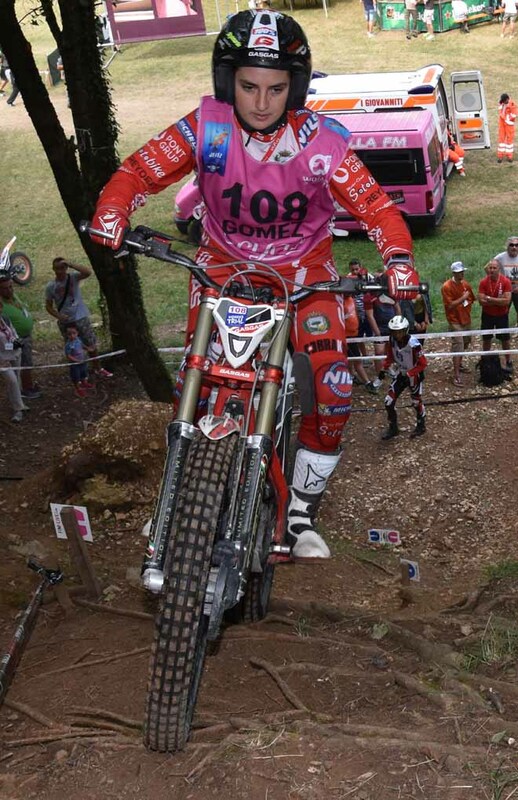 It was also a disappointing showing for Sandra Gomez - Gas Gas who ended the second day of competition down in sixth position, however she can take some consolation that she now holds second spot in the championship table. 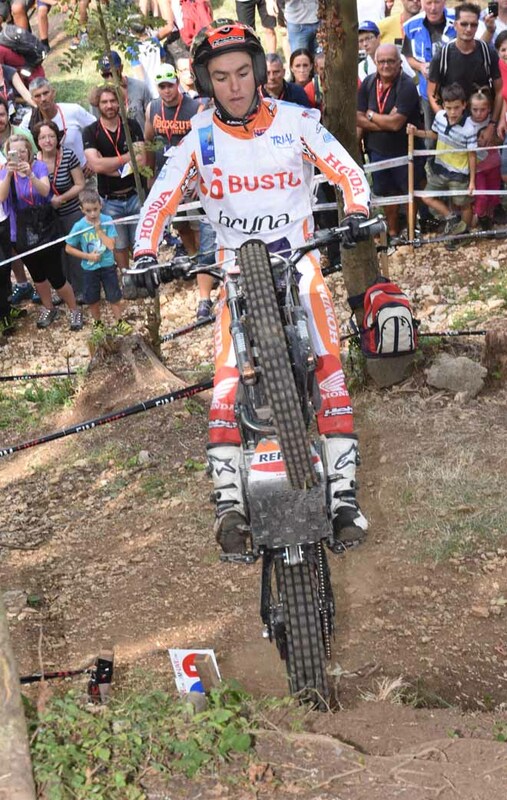 Third on Saturday, Germany’s Theresa Bauml –Beta was slightly off the pace in seventh today. 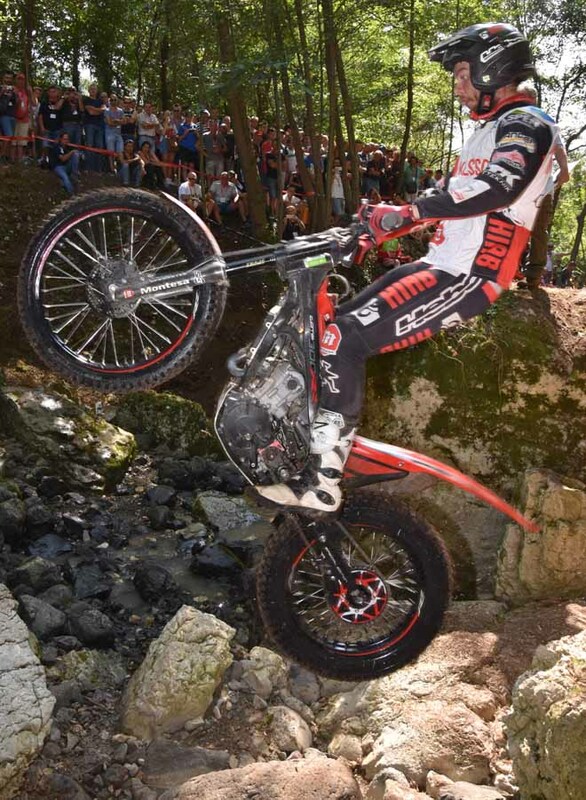 Italy’s poster girl Sara Trentini – Beta, Mette Fidje – Sherco from Norway and her compatriot Huldeborg Barkved – Sherco completed today’s top ten respectively. 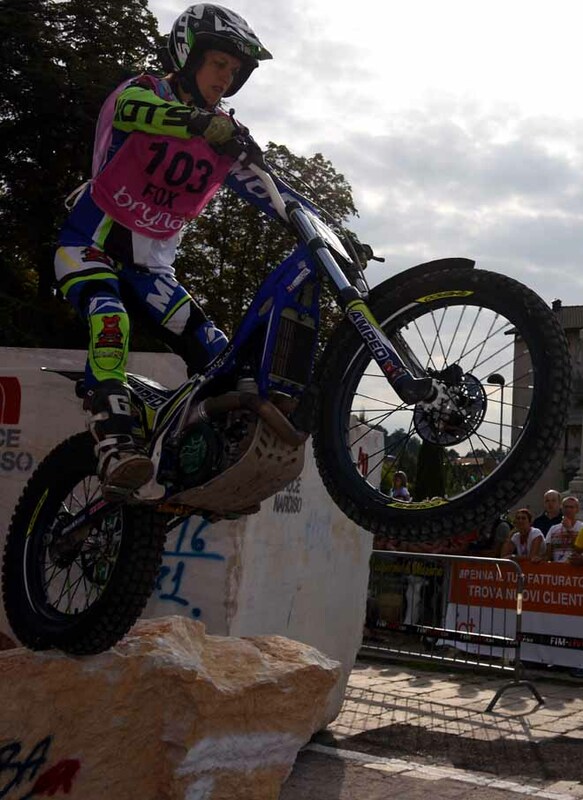 With Bristow already crowned, the remaining podium rankings will be decided next Friday at the final counting day of 2016 FIM Women’s Trial World Championship in Isola 2000, France. 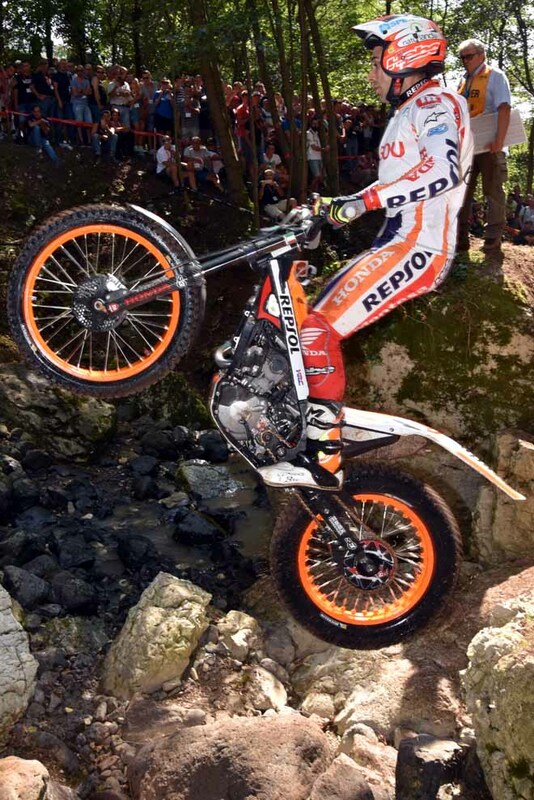 Very much as expected Toni Bou – Repsol Honda signed off from the 2016 FIM Trial World Championship with yet another victory, his second of the weekend at the Italian GP in Chiampo and his twelfth of the campaign. 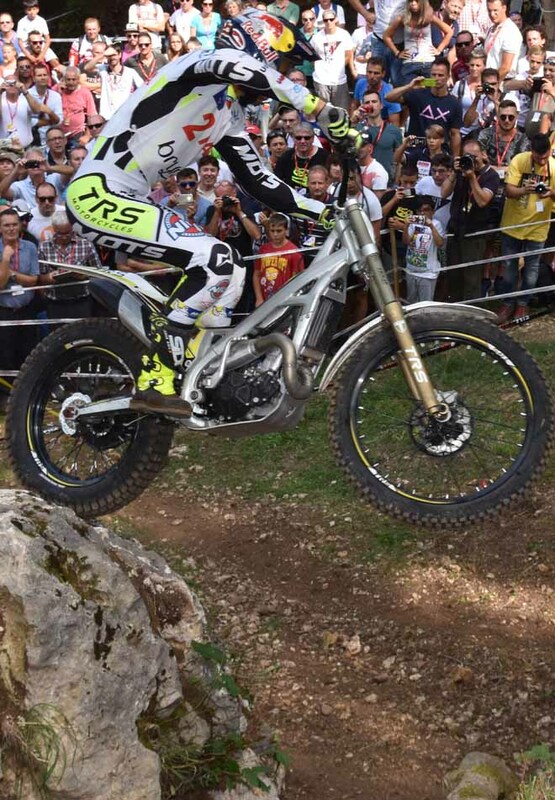 Whilst today his margin of victory was less than yesterday he still won the final day of the season by fourteen marks from Adam Raga – TRS. 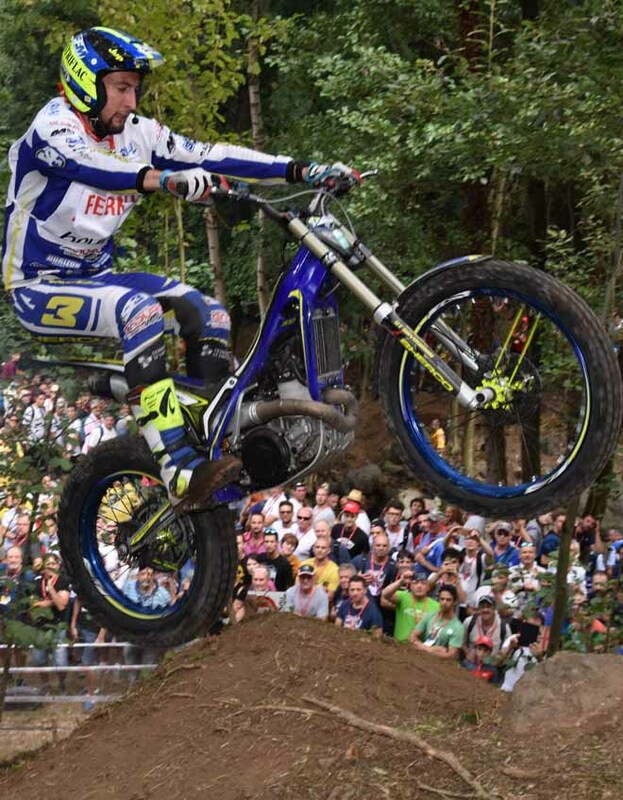 Raga is one of just three riders who have inflicted defeat on Bou this season, the other two being Albert Cabestany – Sherco and his team mate Takahisa Fujinami – Repsol Honda. 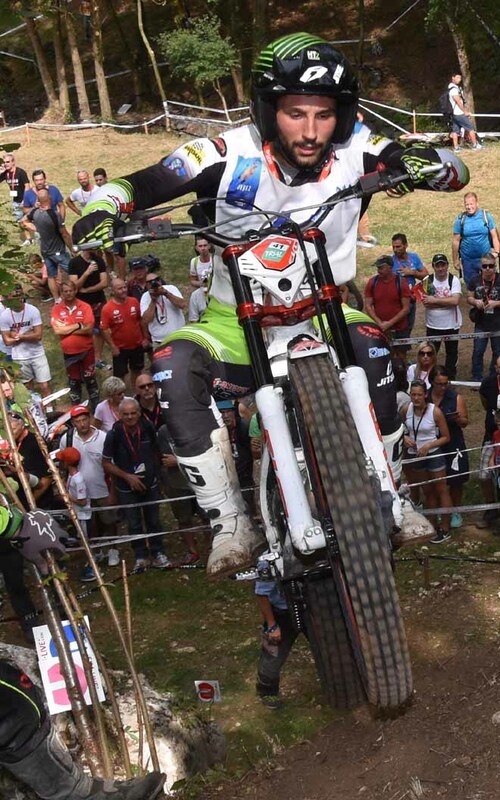 For the second day running and for only the third time this year Jeroni Fajardo – Vertigo rounded out the podium on what has been by far the best weekend of competition for the experienced Spanish rider. 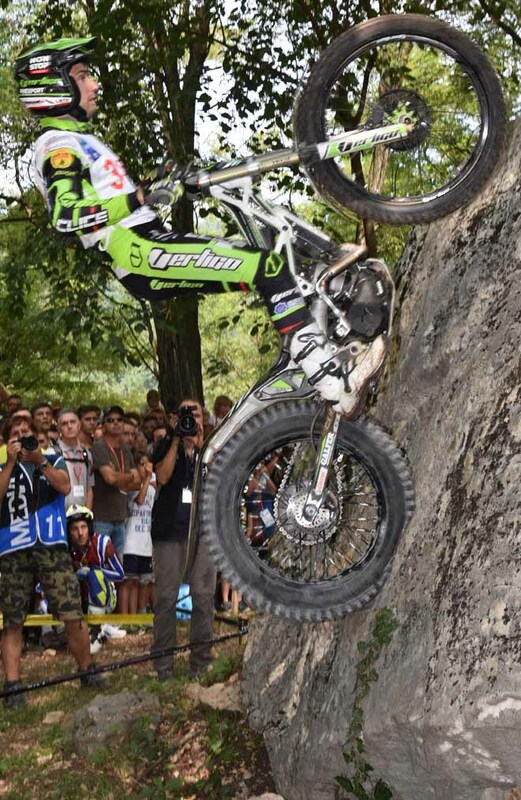 Fajardo had to fight hard for his third spot and was pushed all the way on yet another sweltering day by Cabestany who finished just two marks back from his compatriot. 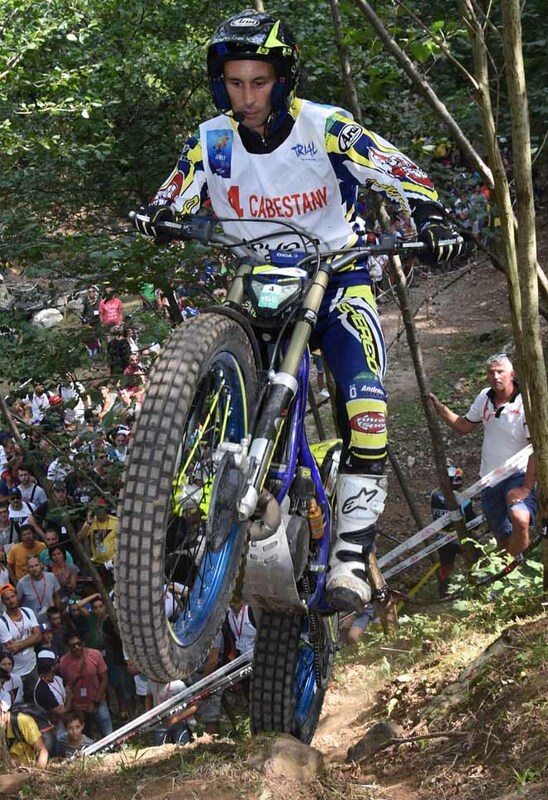 Unfortunately, fourth place was not sufficient for Cabestany to climb the order as he ended the year in fourth spot in the final standings. 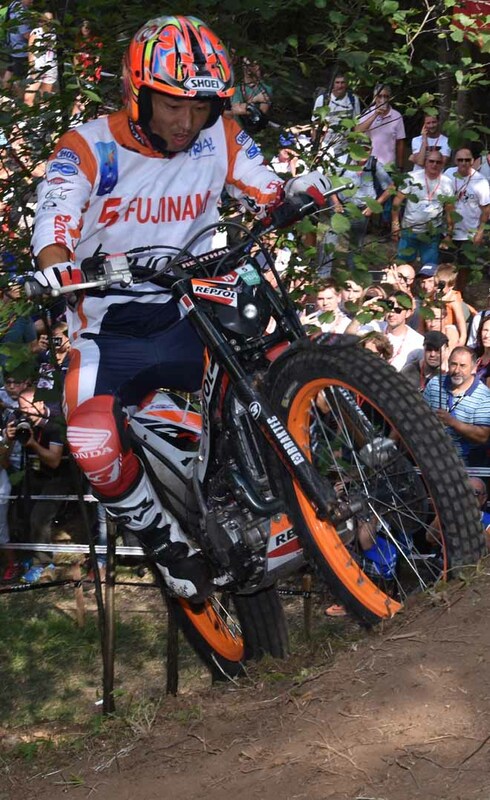 Despite nursing his injured wrist, Fujnami was magnificent in front of the thousands of passionate Italian fans for who he put on a show of bravery and skill topped by his normal exuberance. 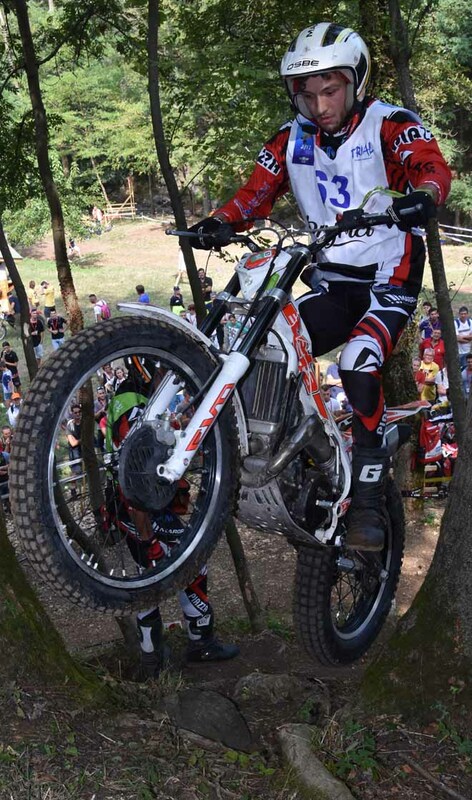 Fujinami was rewarded for his efforts with fifth on the day, which was enough for him to hold on to an excellent third spot in the general standings. 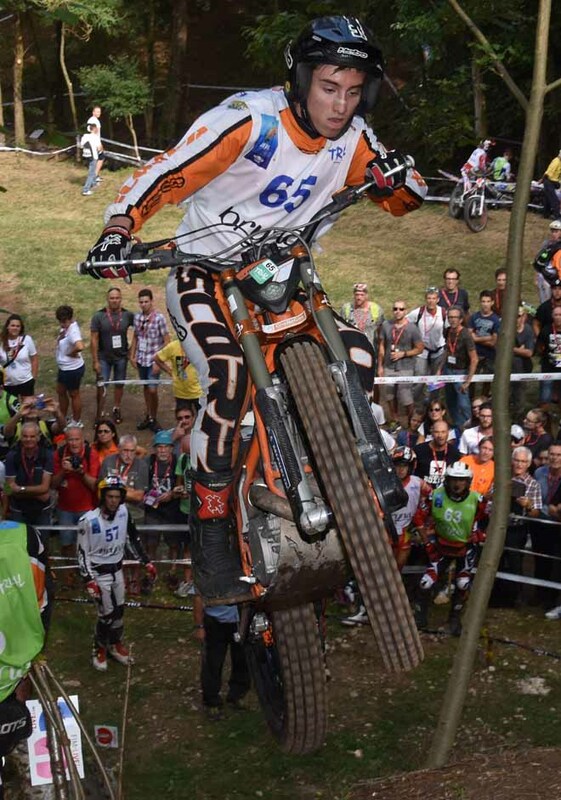 There was even more for the home crowd to cheer about as Matteo Grattarola – Gas Gas recorded his equal best result of the season in sixth place. 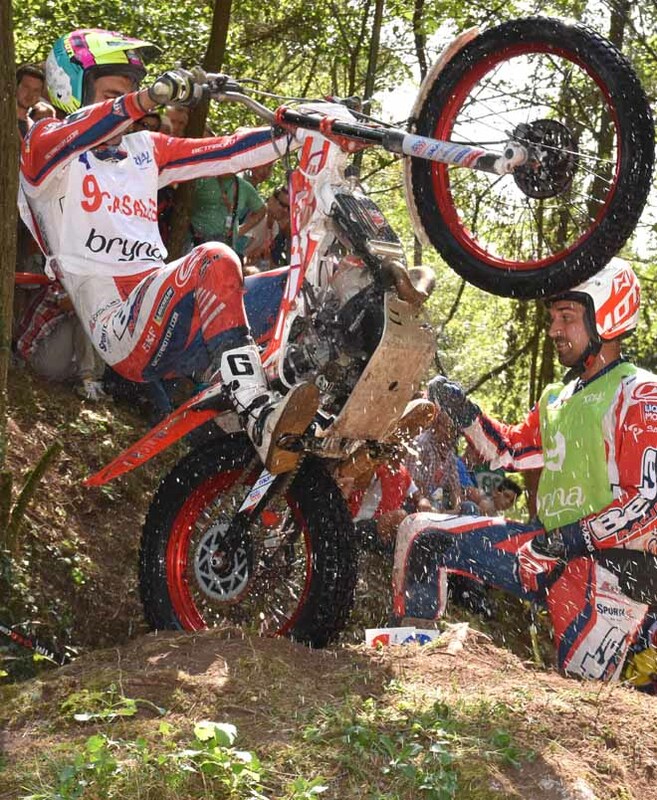 Jaime Busto – Repsol Honda, Jorge Casales – Beta, Miquel Gelabert – Sherco and James Dabill – Vertigo were the last four riders respectively to finish in today’s top ten. 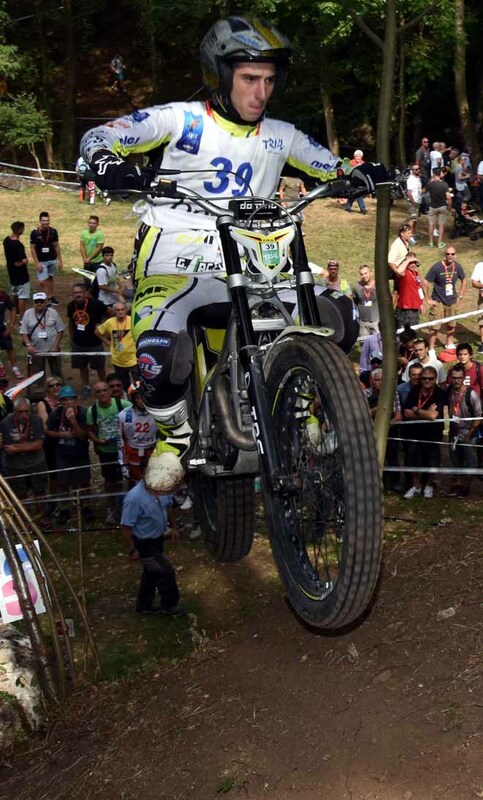 In terms of the loudest cheer, that was reserved for Luca Petrella – TRS who took his maiden victory in the Trial2 class at his home GP. 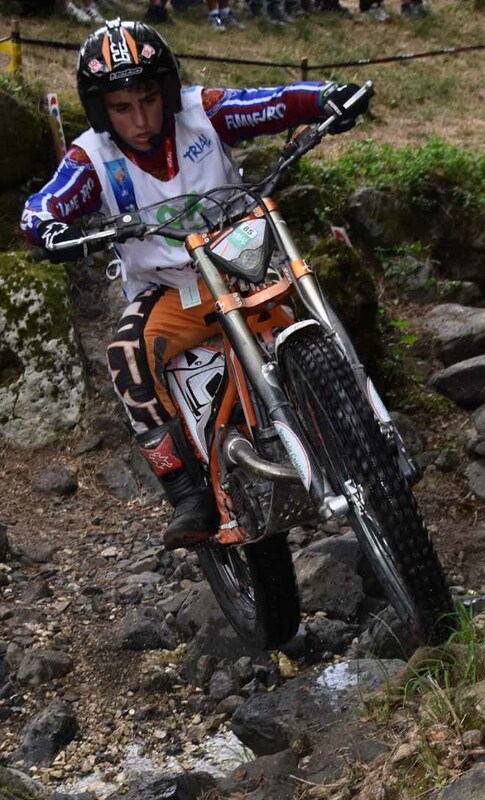 Petrella ended the day well clear of overall class winner Jack price – Gas Gas who at least made some amends for his terrible showing yesterday. 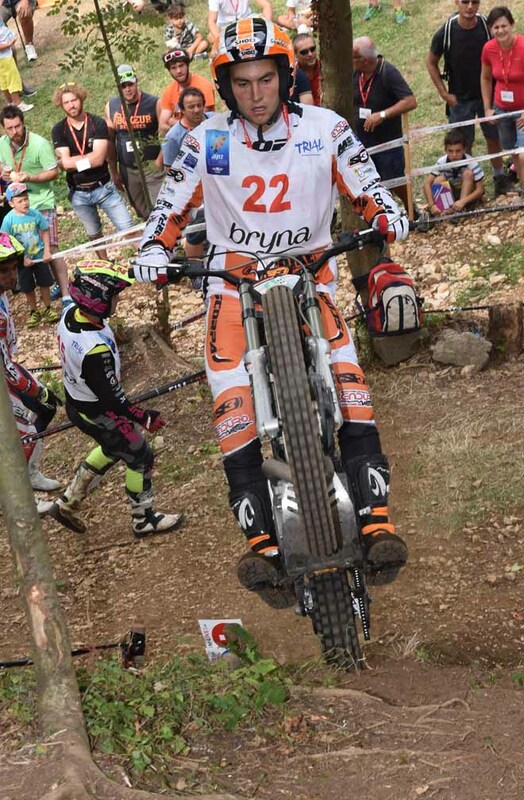 Price’s British compatriot Iwan Robert’s – Beta complete today’s rostrum as he clinched the runners up spot in the series too. 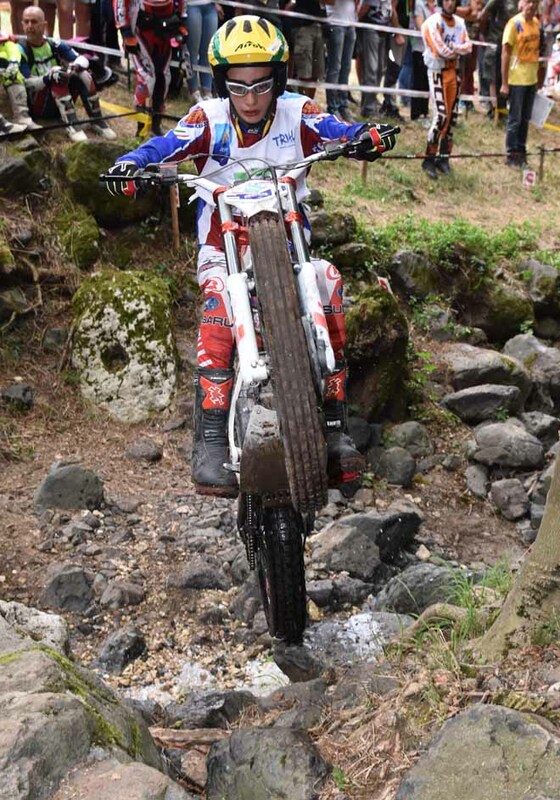 Day two’s top five was rounded out by Gael Chatagno – Sherco and Dan Peace respectively, the latter of this pairing also securing third in the final standings to finalise an all British 1-2-3 in this class. 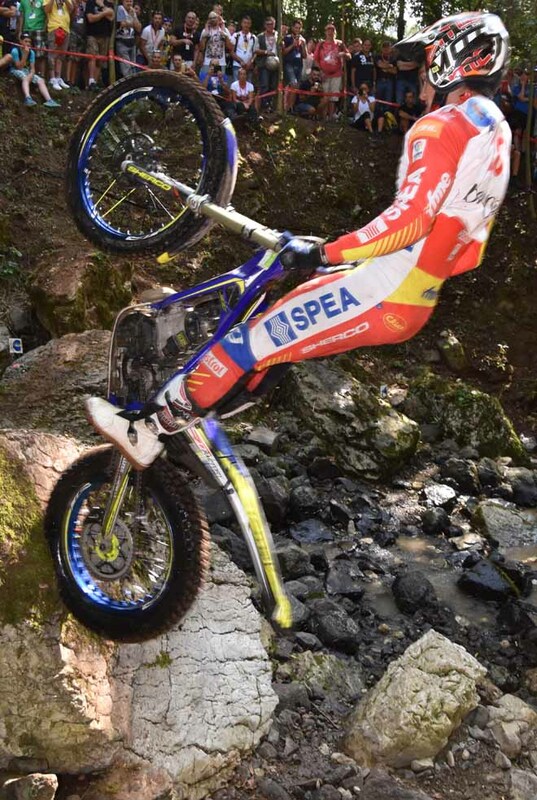 Completing back-to-back wins, it was again Lorenzo Gandola – Scorpa who lead home his fellow countryman Mirko Spreafico – Gas Gas for a second Italian 1-2 of the weekend in this class, with Spaniard Eric Miquel –Sherco having to be content with third spot for the second day in a row. 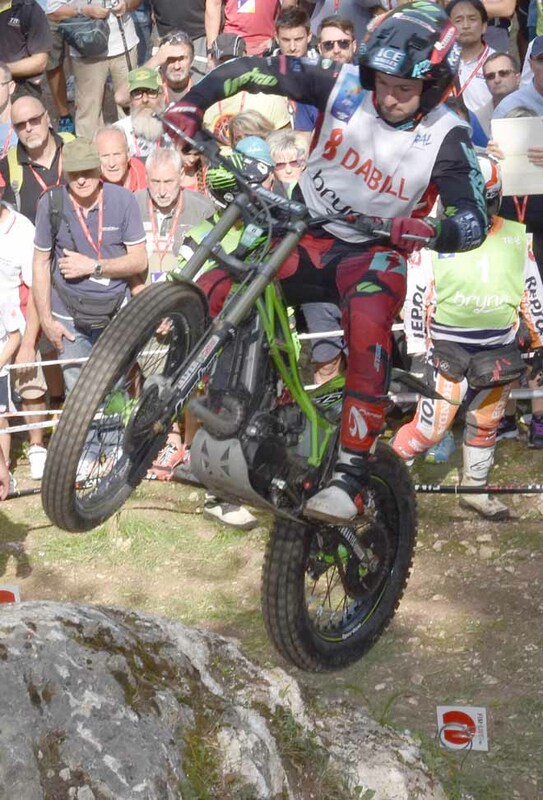 Miquel also ended the series in third place behind overall class winner Jack Peace – Gas Gas and Max Faude – Beta, respectively both who rode in Trial2 class this weekend. 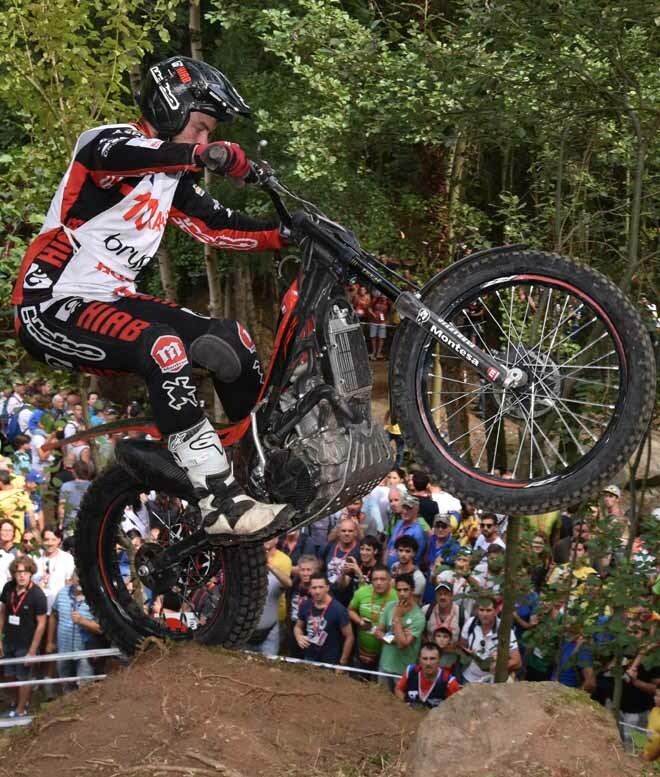 With the all individual FIM Trial Word Championships now decided, the attention now shifts to next weekend’s team competition, as the FIM Trial des Nations is set to take place in Isola 2000, France. 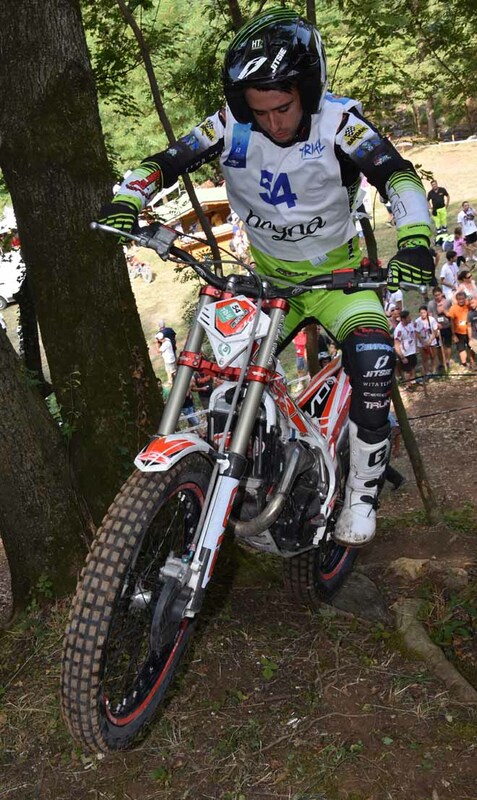 Bou vince , stavolta non sfacciatamente come il giorno prima, Fujinami mantiene il terzo posto in campionato.